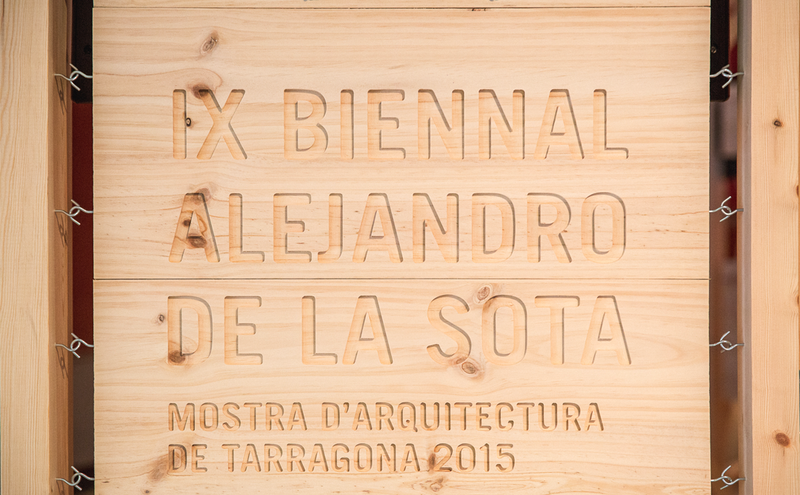 The exhibition of the 9th ALEJANDRO DE LA SOTA BIENNIAL, which was available to visit at the COAC’s Tarragona branch office up to mid-August 2015, is beginning a tour of various towns and cities of the El Camp de Tarragona region. From 15 September until 15 November 2015, the exhibition will be at the Escola d’Art i Disseny de la Diputació, in Reus. From 16 November 2015 until 12 January 2016, it will move to the lobby of the Reus School of Architecture (Rovira i Virgili University, Reus). From 15 January to 26 February 2016 it will be seen at Falset Castle (Pl. de la Quartera, 1, Falset). From 3 March to 1 April it will move to the Pati de Sant Roc de l'Institut d'Estudis Vallencs (Jaume Huguet Street, 1, Valls). The exhibition features samples of the projects submitted for this contest and aims to highlight the most significant work constructed during the two-year period 2013-2014 throughout a region that includes the counties of L'Alt Camp, El Baix Camp, El Baix Penedès, La Conca de Barberà, El Priorat and El Tarragonès. This year, of the 44 projects submitted for the contest, the jury decided to select 21, of which 12 have gone to the next stage as finalists. Finally, the jury decided to declare 5 winning projects, with one of them being presented with the Alejandro de la Sota Award. This exhibition, conceived as an open system with the ability to adjust to a variety of sizes and adapt to different spaces, shows six audiovisual presentations corresponding to each of the Biennial’s categories. You can see the exhibition videos here.